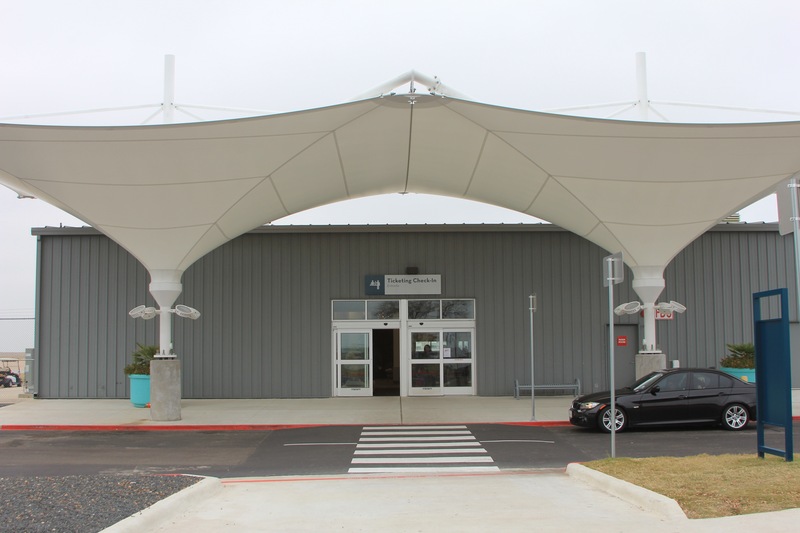 Already unique for its live music stages and local dining options, Austin Bergstrom International Airport has quickly grown over the past few years, surpassing its capacity. 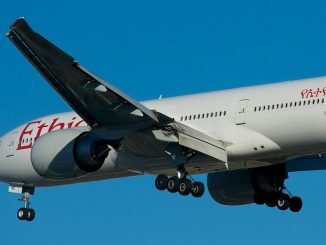 A building that was originally built with an 11 million annual passenger capacity handled 13.9 million passengers in 2017 and is on track to hit almost 16 million passengers in 2018, one million more than the airport’s capacity will be once the east terminal expansion of nine gates opens in 2019. At peak times, the terminal has reached capacity, with almost every gate occupied. 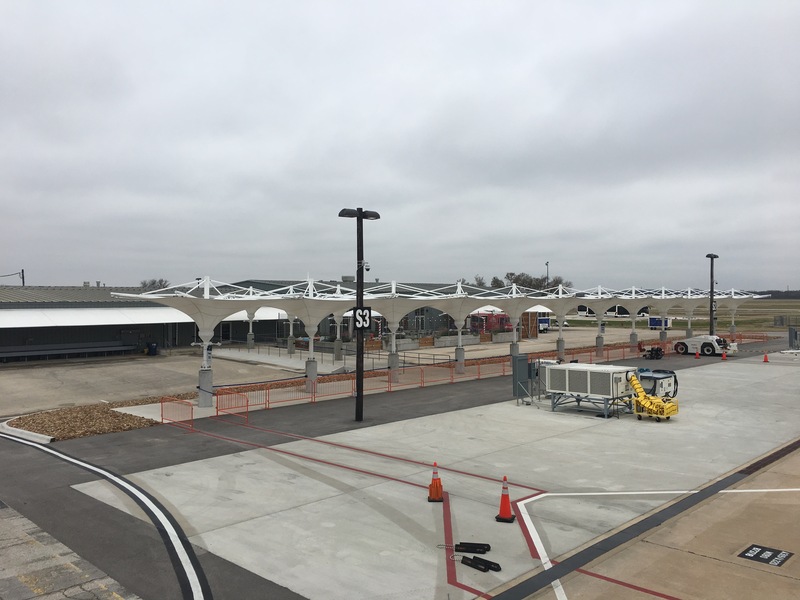 With passenger numbers and airline routes continuing to increase, Austin’s main airport had no option but to re-open the South Terminal. Located 0.68 miles south of the main entrance of the Barbara Jordan Terminal, the airport’s primary terminal, the South Terminal first opened in 2008. Once part of the Bergstrom Air Force Base, the building was left abandoned when commercial operations commenced in 1999. 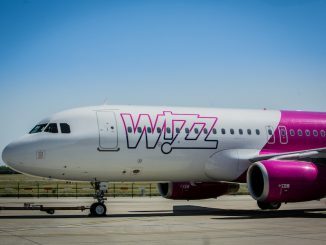 When VivaAerobus announced its plans to open a U.S. hub in Austin, the airport agreed to open a terminal specifically catering to low-cost airlines, where operating fees would be significantly less than the main terminal. A distinct coat of green paint was added to the exterior of the building and a quick remodeling of the interior prepared the building to handle commercial operations. But most importantly, the small terminal was now home to an additional U.S. Customs and Border Protection Federal Inspection Station for passengers arriving from international destinations, primarily Mexico. A considerable downgrade compared to the passenger experience in the main terminal, the “new” terminal opened in May 2008, with VivaAerobus commencing flights to Cancun and Monterrey. 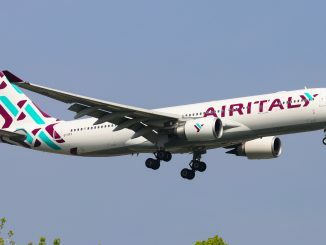 In early 2009, the airline also added flights to Puerto Vallarta before abruptly closing its Austin hub just one year after commencing flights in May 2009. With no airline serving the terminal, the green building was fenced off and left vacant. In 2015, the airport began considering various ideas on how to alleviate capacity stress in the Barbara Jordan Terminal. Ideas of reopening the South Terminal popularized due to the limited construction which would need to occur and the fast speed they could have the terminal operational again. 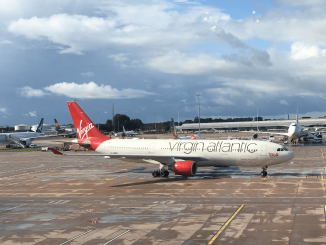 But knowing the South Terminal is located in an area which would directly be affected by future airport development, the airport did not have the money available or the desire to invest in a temporary solution. 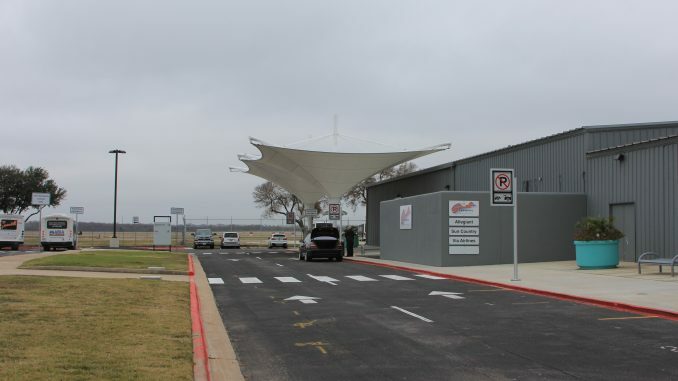 In 2016, however, LoneStar Airport Holdings reached a 30-year Lease and Concession Agreement with the Aviation Department of the City of Austin. 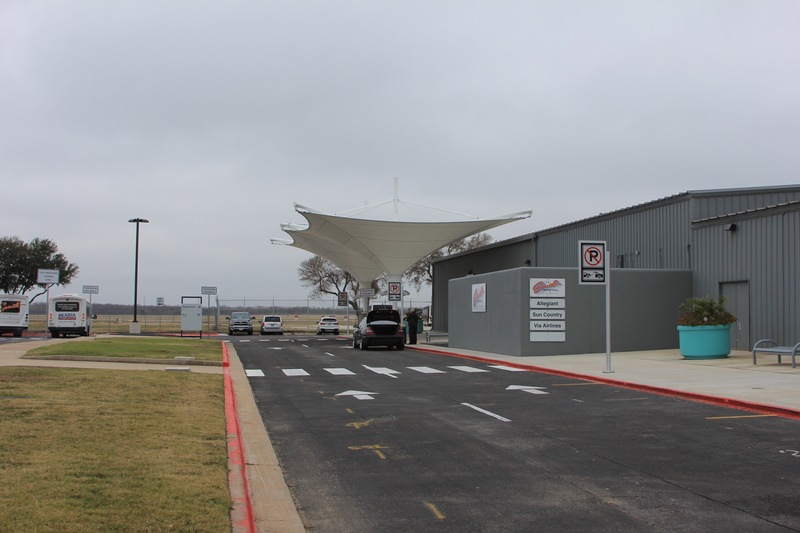 Founded by Jeff Pearse, LoneStar Airport Holdings began preparing the terminal for operations, investing $12 million in renovations. This time, the terminal received a coat of grey paint, covering the distinct green it previously wore. The interior was completely remodeled with a focus on creating a retro-theme. Windows were added as well, giving much needed natural light to the small building. On April 13, 2017, the terminal celebrated its opening with Allegiant Airlines being the first tenant. Navigating your way to the South Terminal can be a bit difficult. 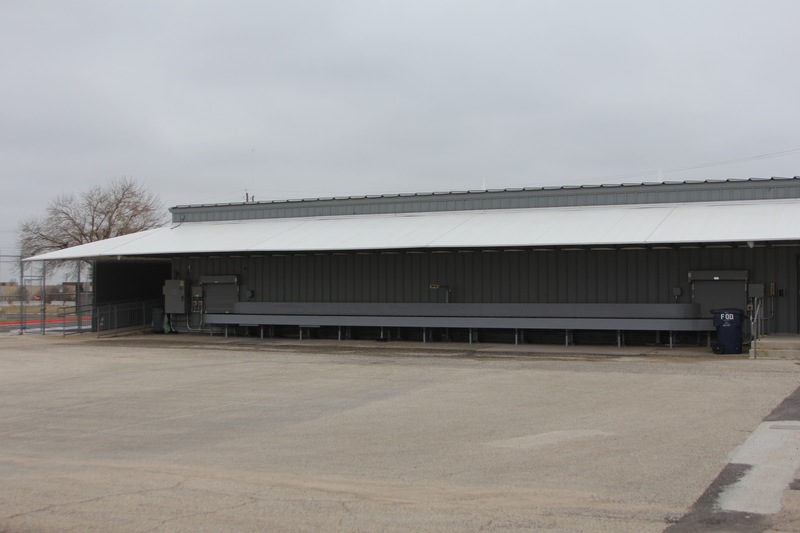 The small building is only accessible from Emma Browning Avenue, the same road used to get to the general aviation buildings on the south side of the airfield, with no direct access or airside shuttle from the Barbara Jordan Terminal. There is an 842-spot parking garage located next to the terminal and operated by the Aviation Department, where passengers can park for $8 per day. This lot costs the same as the uncovered lots at the main terminal. But for passengers dropping off a rental car, it is necessary to go to the main terminal via a shuttle bus operating between the two terminals every twenty minutes. The terminal’s retro vibes are apparent from the start. Passengers are greeted by lighted canopies upon arrival. Walking into the terminal, you are immediately greeted by eight check-in counters, giving the feel of a small-town airport. 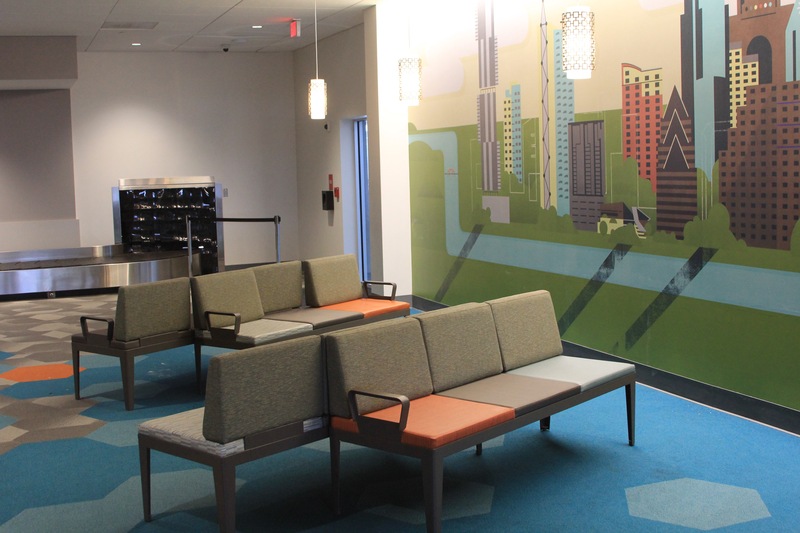 A mural paying homage to Austin’s former airport, Robert Mueller Airport, is displayed at the check-in counters. 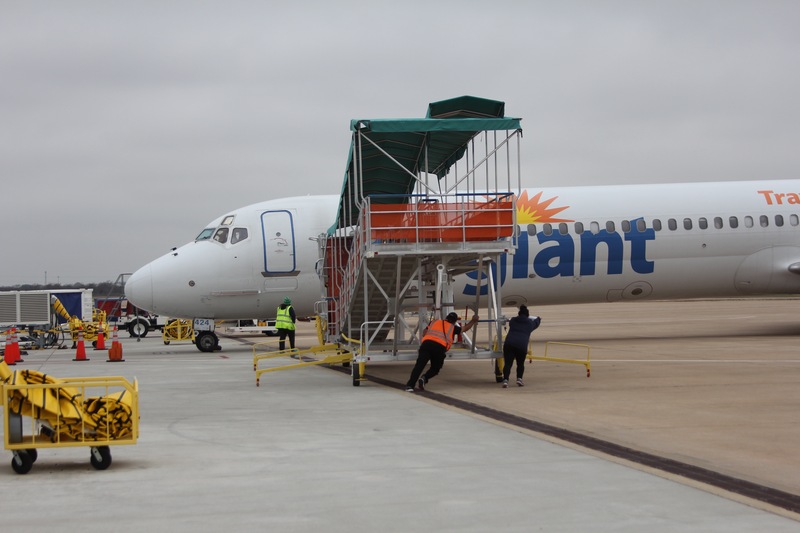 Currently, low-cost carriers Allegiant Air and ViaAir fly out of Austin’s South Terminal. 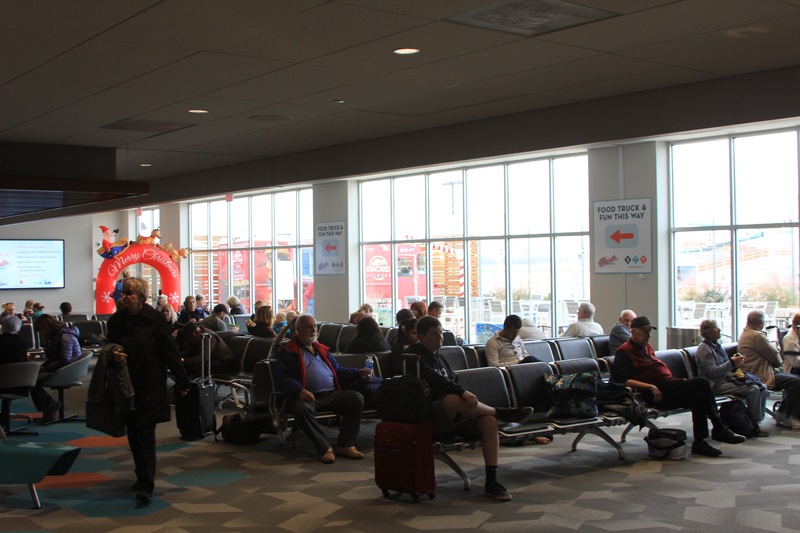 On Nov. 15, 2018, Frontier Airlines also moved its operations from the main terminal, alleviating some space for additional flights to the main terminal. With Frontier’s move, the terminal is now open 24 hours a day, seven days a week. Previously, Sun Country Airlines operated from the South Terminal. 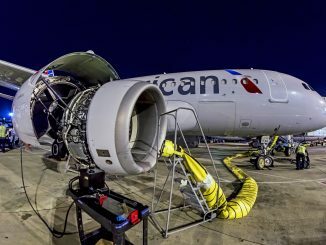 The airline moved its operations to the Barbara Jordan Terminal earlier this year when it commenced seasonal flights to Cancun. 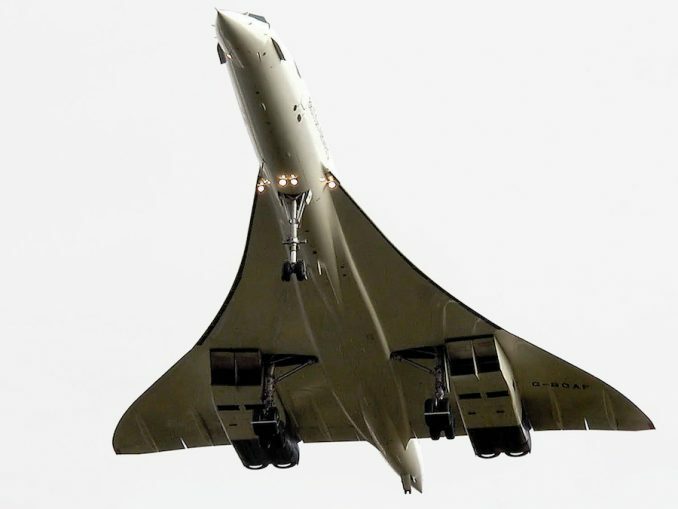 The lack of a Federal Inspection Station at the terminal, abandoned following VivaAerobus’ departure, restricts carriers operating at the South Terminal from developing an international route network. Currently, there are no plans to upgrade the terminal to support international flights in the near future. On average, there are 14 flights a day from the terminal, the majority being operated by Frontier. During rush hour when there are three flights on stand, the small post-security gate area can get packed. 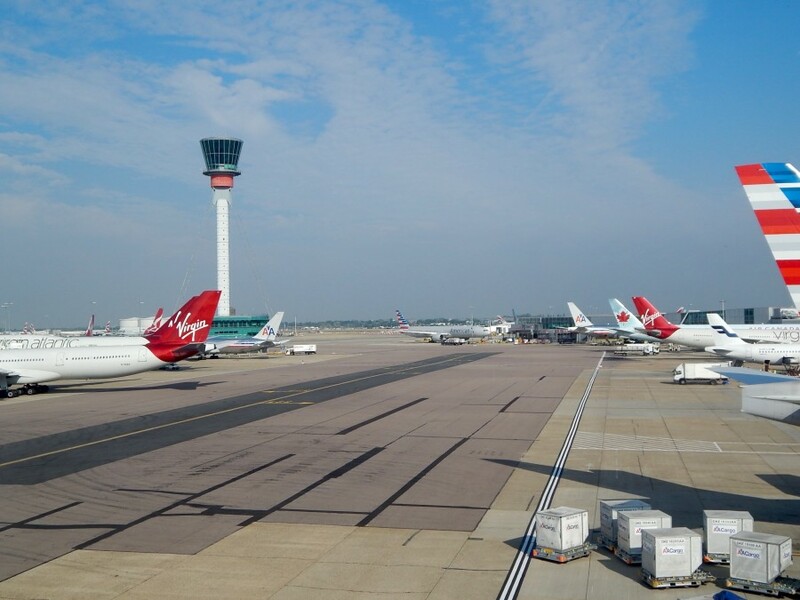 Between January and September 2018, the South Terminal handled 245,305 passengers. Those numbers will rise greatly over the next few months due to Frontier’s move. Currently, Frontier Airlines is the fifth largest airline in Austin by passengers carried and continues to announce new routes. The TSA operates one security checkpoint with two lanes at this terminal. After security, there are two areas passengers can lounge at before their flights. 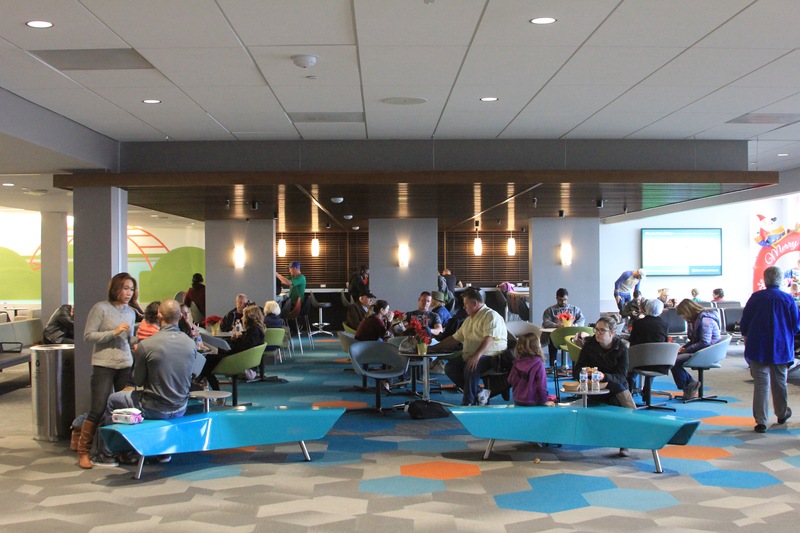 The indoor gate offers various seating options and power outlets. A recently opened concession stand Jet Set, a collaboration between two Austin restaurants, also offers grab-and-go items and a full bar. 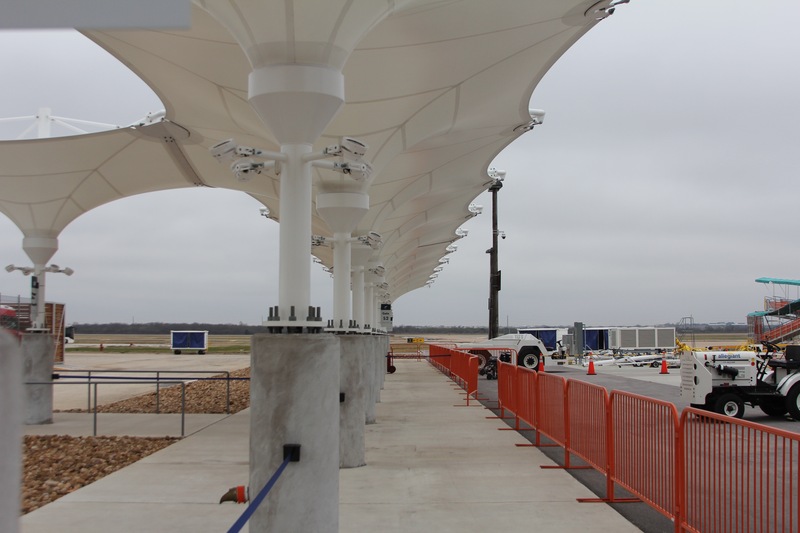 Most notably, the South Terminal offers a post-security outdoor patio, the first of its kind at a Texas airport. The outdoor space offers passengers plenty of seating options and views of the parked aircraft. 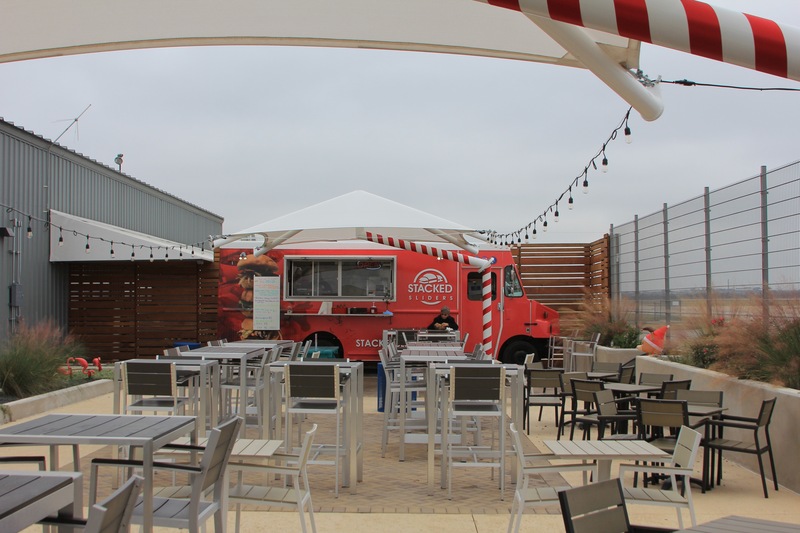 And in an effort to keep in touch with the distinct Austin culture that the main terminal embraces, the terminal’s only dining option is a food truck located at the patio. The food truck is periodically rotated with other local trucks, but there are nowhere near the same amount of food options as the main terminal. 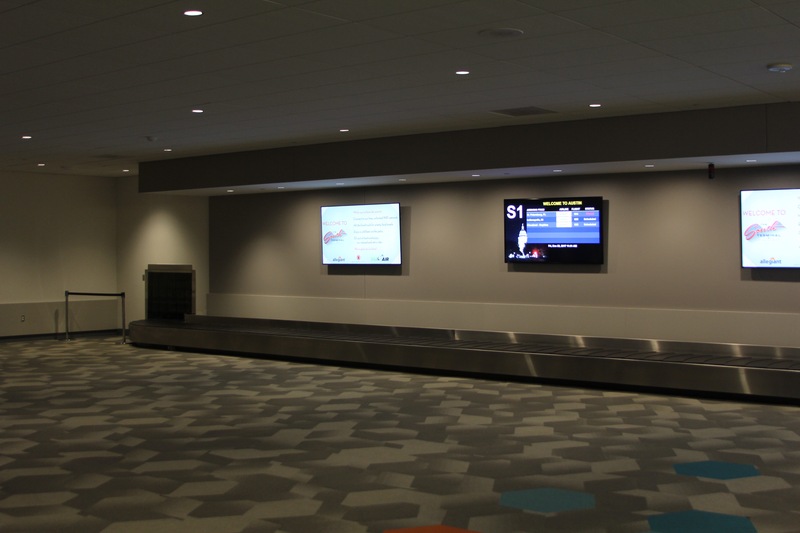 For arriving passengers, the airport has one baggage carousel. Similar to the main terminal, there are taxis available for arriving passengers in addition to the main terminal shuttle. 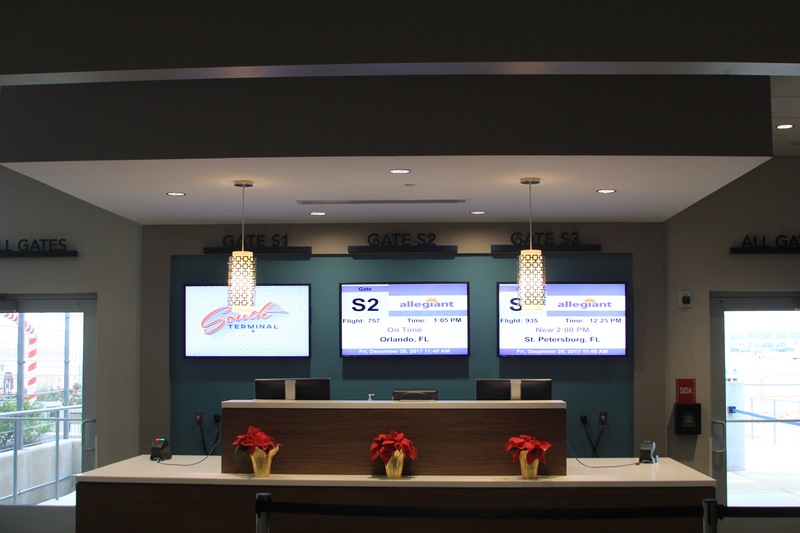 For low-cost carriers, the South Terminal is ideal. 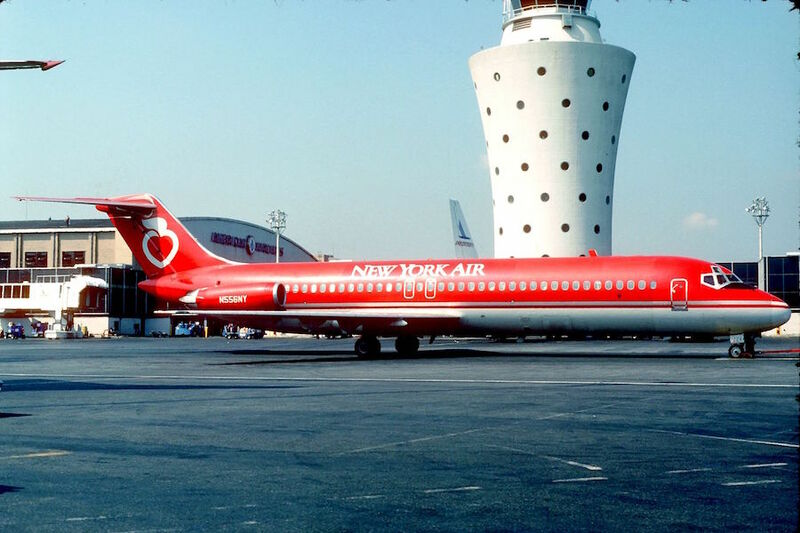 The cost to operate out of the terminal for an airline is much cheaper. 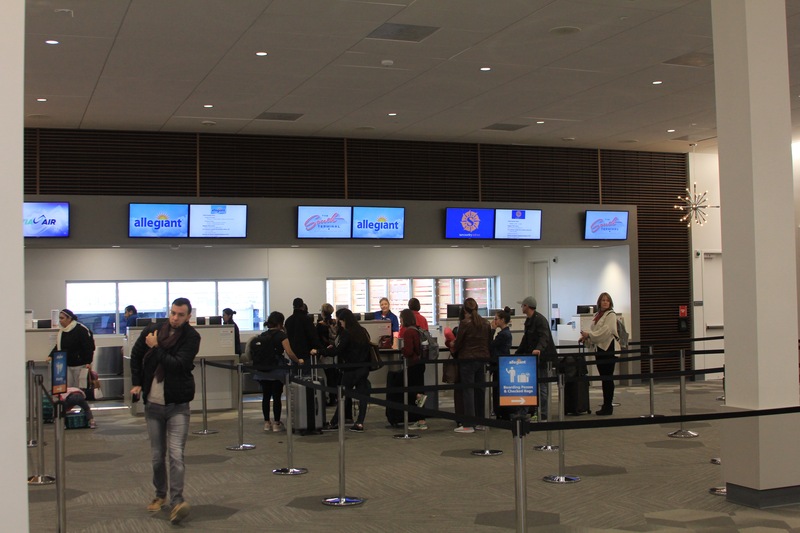 Surprisingly though, Spirit Airlines has opted to fly out of the main terminal when it begins flights to Austin in February. 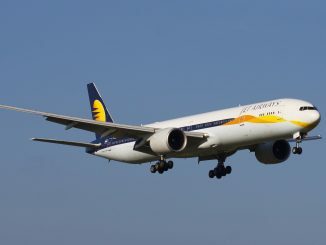 All facilities in the terminal are shared by the various airlines operating from it meaning the airlines do not need to lease check-in counter space or gate space. 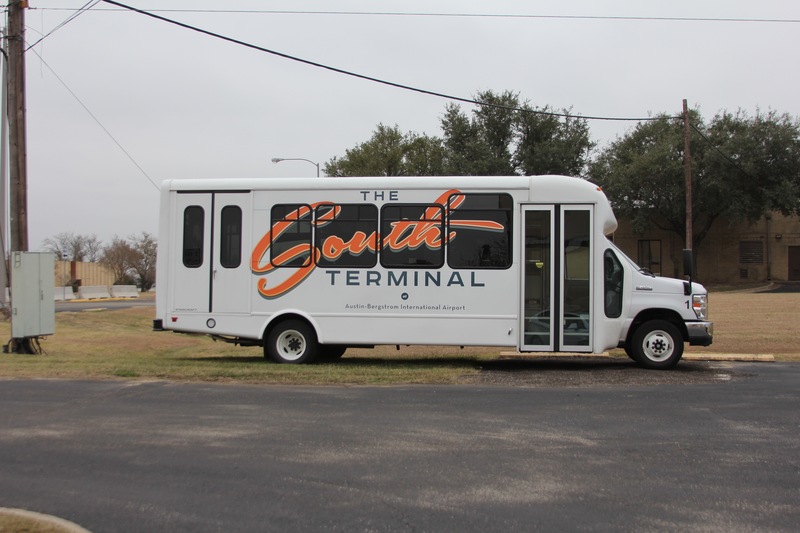 The accord between the city and Lone Star Holdings marked the first privately operated terminal in the U.S. It’s only been a year since the terminal opened, but the deal has already appeared to be a success. 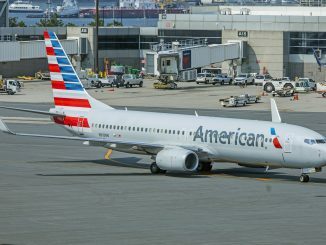 With some traffic alleviated at the main terminal, airlines have been able to continue their rapid development in the Austin market. 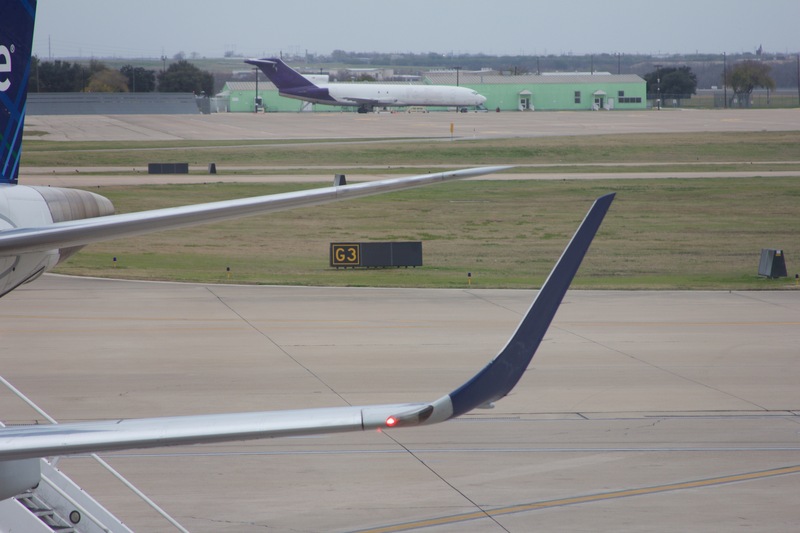 While the South Terminal is no permanent solution to an overcrowded main terminal, it will serve the city of Austin until the second phase of the airport’s new 2040 master plan which was recently unveiled. If the current timeline is kept, the terminal will need to be abandoned in 2026 to make room for an expanded aircraft hardstand area. 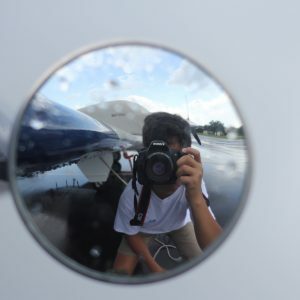 However, things can change between now and 2026 and the airport’s 2040 master plan has not yet been approved by the FAA, though the city has approved it. Most importantly, there’s an added advantage to flying out of this terminal for AvGeeks. Besides the patio located just feet away from the aircraft, the terminal has no jetways. This means passengers board using airstairs and walk on the tarmac to get to and from their aircraft. This terminal is far different from the Barbara Jordan Terminal, and other U.S. airports. 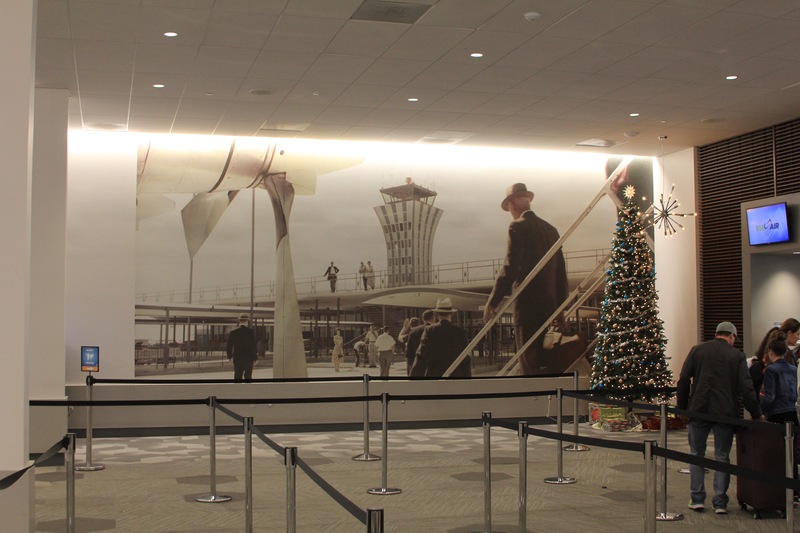 The golden age of mid-century travel is truly appreciated in this concept, creating a relaxed and unique travel experience for passengers flying out of Austin’s South Terminal.